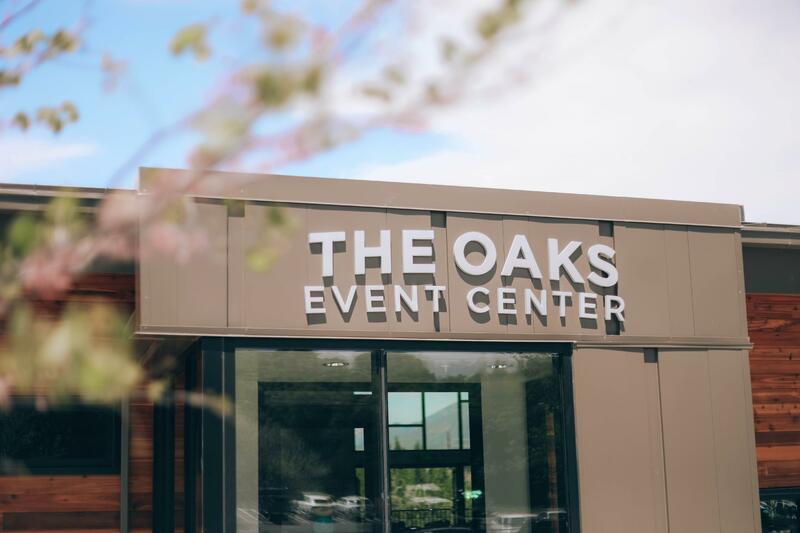 The Oaks at Spanish Fork Event Center is now open for reservations! The Event Center is an expansion off of the original 1981 construction of the golf course pro-shop. This expansion will allow for larger tournaments and a larger space than the previous cafe area would allow. With the updated features of the exterior and interior the new building blends in with the natural surroundings, but also holds modern architectural elements. The building was designed by AXIS architects and constructed by JLR Construction. It will be host to events, receptions, banquets and tournament gatherings moving forward. The Event Center has a variety of amenities for all types of gatherings. We look forward to seeing you at our open house on June 9 from 10:00 - 1:00. For more information or to tour the facility contact the Event Center Coordinator Kalin Reynolds.